From Nick Foles for MVP to Nelson Agholor vs. LeBron James. Who ya got? Jan. 31, 2018, 11:30 a.m.
Last year there was nearly $5 billion bet on the Super Bowl and more than 90 percent of it was wagered illegally. Still, what’s bet legally is in the hundreds of millions of dollars just in this country, not counting offshore and international casinos. Last week someone placed a “multi-million-dollar bet” with MGM Resorts on the Eagles to win the Super Bowl, with huge wagers coming in on both sides to cover the spread and win the game. Sunday is the gambling industry’s biggest day, so it stands to reason that Super bets are not just limited to who will win the game. Both legal and illegal wagers come in on anything and everything one can imagine. Will Nick Foles win the MVP? Will a player on the Eagles forget to wear his helmet and instead run out onto the field in a dog mask? Okay, I might have made that last one up, but this one is totally real. Who will score more points: Ben Simmons against the Pacers on Saturday night or the Eagles on Sunday? Good luck with that, and these. Here are some of the biggest, best and downright weirdest prop bets for Super Bowl LII. There are different odds at every sportsbook, but the consensus is that Tom Brady is the prohibitive MVP favorite, while Nick Foles, being the quarterback on the other team, is next in terms of odds. Here’s the Westgate Superbook’s odds as of the start of Super Bowl week, via the Las Vegas Sun. Who will win Super Bowl LII MVP? The odds for who will score the first touchdown are all over the map, with Rob Gronkowski having the best odds at 7-to-1, followed by Jay Ajayi, Alshon Jeffery, Zach Ertz, Nelson Agholor and Brandin Cooks at 8-to-1, with LeGarrette Blount, James White and Danny Amendola at 10-to-1. Watch out for a quarterback sneak. Will there be a missed extra point kick? The bet doesn’t have to be $100. That’s just the math. For example, one could bet $33 there will not be a missed extra point to try to win $10, but need to bet just $10 to win $26 on the side that one of the two kickers will miss. Stephen Gostkowski of the Patriots has only missed six extra points in his career, but five have come since last season when the attempt was moved back to the 15-yard line. He has not missed an extra point this postseason, but has missed three in his playoff career, including one in the Super Bowl last year. Jake Elliott missed three extra points this regular season for the Eagles, as well as another in the playoffs. Yes is not a bad bet. Will Al Michaels say “underdog”? Will Al Michaels or Cris Collinsworth say “Rocky”? Will Al Michaels or Cris Collinsworth say “City of Brotherly Love”? New England Patriots owner Robert Kraft (L) and head coach Bill Belichick (R) with Donald Trump. VegasInsider, via BetDSI.eu, has a number of POTUS-related prop bets, including if he’ll attend the game, whether he’ll take part in a pregame interview and how many tweets he’ll send during the game. Will Donald Trump take part in pregame interview on NBC? Total number of Donald Trump tweets during game? There’s another Trump-related option, too, asking if any player will take a knee during the anthem. Will any players take a knee during national anthem? Several Patriots players opted to take a knee earlier in the season, while a few Eagles, led by Malcolm Jenkins, chose to stand with a raised fist. Given the stage, and the fact the NFL came to an agreement with the players on plans for social change and racial inequality, it’s hard to believe a player will make this kind of statement on his own, and it’s even less likely one of these two teams would band together to make a public statement before a game of this magnitude. No feels like a very safe bet there. TopBet shared their list of prop bets that includes the over/under on how long it will take Pink to sing the national anthem. 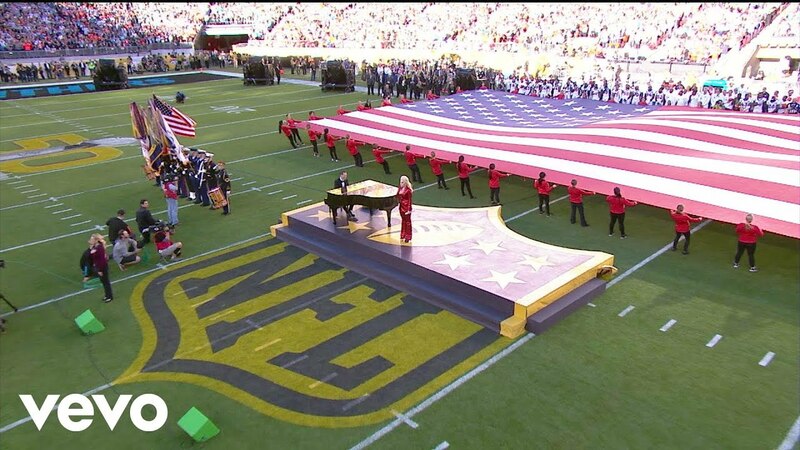 Two minutes and three seconds is almost to the second what Idina Menzel sang the anthem in three years ago. Two seasons ago, Lady Gaga (above) rang in at a robust two minutes and 22 seconds. Luke Bryan sang last year’s at just over two minutes and four seconds, so the bet is not an easy one this year. I’d take the over, if slightly. And what about halftime? Odds that Justin Timberlake sings “Can’t Stop The Feeling” first in his halftime set are at 2-to-1. Odds that he sings “Let’s Go Crazy” as his first Prince song are a -200 on the money line, with the second-best odds on that particular bet coming for him not singing a Prince song, at +300. Some of the most fun bets are the props that combine random Super Bowl stats with other sporting events from the weekend. Here are a few local options from Westgate and William Hill, via the Las Vegas Sun. The Sixers play a back-to-back Friday and Saturday, hosting the Heat then playing at Indiana, which is probably why there aren’t any Joel Embiid props. But Simmons having more points than the Eagles — with the Eagles giving three-and-a-half — is a wickedly tempting wager. Foles threw 30 passes against Atlanta and 33 against the Vikings. If he throws 30 passes against the Patriots, LeBron only has to score 24 points to win the bet. He’s cracked the 24-point mark in six of the last eight games and is averaging 26.8 per game. LeBron’s average is 26.8 points, 7.3 rebounds and 7.1 assists. That’s 41.2. Agholor averaged 48 yards per game this season, and 41.5 in the playoffs. Gulp. Raise your hand if you ever thought there would be a Super Bowl prop bet that included Lionel Messi and Nick Foles. No hands in sight? Right. Let’s move on to college hoops. There are a lot — a lot — more prop bets. Thousands of them, in fact, but none seem quite as depressing as laying a wager down on whether the winning margin between Temple and Tulane this weekend will be higher than the number of receiving yards Trey Burton has, minus four and a half.